On Wednesday, February 13, 2019, the Bureau of Land Management (BLM) held a hearing in Washington, D.C. to receive testimony regarding their recent Coastal Plain Oil and Gas Leasing Program Draft Environmental Impact Statement (EIS). 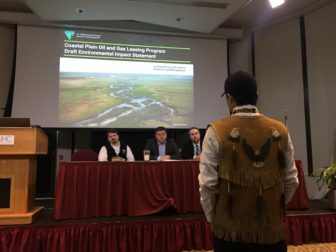 The room was packed with citizens greatly concerned about the threat of oil and gas development in the Arctic National Wildlife Refuge’s Coastal Plain, a pristine and ecologically sensitive wilderness area fought over by environmentalists and developers since the 1970s. 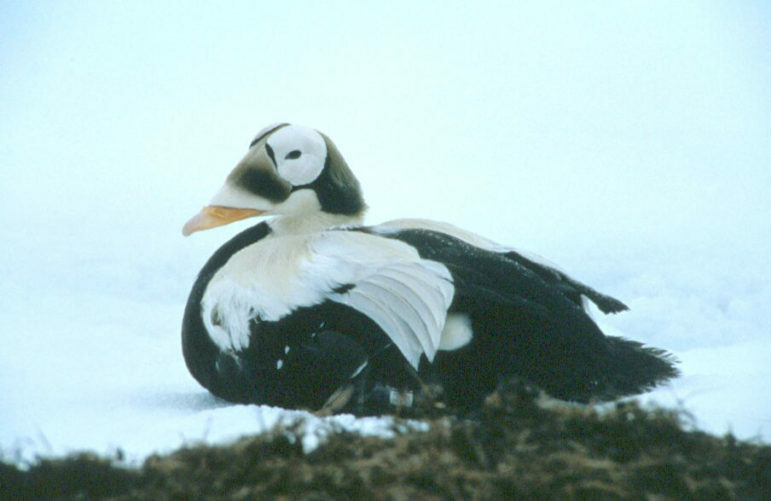 The coastal plain, a 2,000 acre area, is considered the biological heart of the entire Arctic Refuge system because it provides critical habitat for hundreds of species, some of which, are facing extinction including polar bears, ice seals, and spectacled eider. 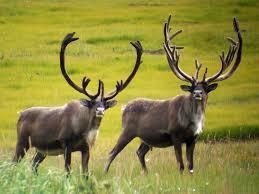 It is also essential to the 218,000 members of the Porcupine Caribou Herd, who depend on the Coastal Plain for calving grounds each year. In addition, more than 200 species of birds from every state and territory in the United States migrate to the Coastal Plain of the Arctic Refuge each year. Moreover, the Coastal Plain is home to a variety of other species including coyotes, gray wolves, Arctic foxes, Red foxes, lynx, black bears, grizzly bears, wolverines, moose, muskox, dall sheep, walruses, spotted seals, beluga whales, gray whales, and bowhead whales. Our colleague, Jamie Rappaport Clark, president and CEO of Endangered Species Coalition member organization, Defenders of Wildlife, issued a press release on December 20, 2018 denouncing the draft EIS stating that “The administration’s Arctic Refuge leasing plan ignores science, turns a deaf ear to public opinion, attempts to skirt the law and paper over a disastrous decision that has already been made.” The Endangered Species Coalition joins Defenders of Wildlife in strong opposition to drilling in the Arctic National Wildlife Refuge as it is far too important to the survival of hundreds of wildlife species and will forever be destroyed should drilling be permitted. The BLM is accepting comments on the EIS from now until March 13, 2019 and we ask that you submit one today stating your opposition to the plan and opposition to drilling in the Arctic National Wildlife Refuge. If you have questions or would like additional information, please email Katie Little at klittle@endangered.org. For more details on the EIS, please click here and for more information on the Arctic National Wildlife Refuge, please click here. Please protect wild life. No commercial exploitation! I oppose drilling in this sensitive area. The damage would be catastrophic to the hundreds of wildlife in that area. We have a dury to protect the animals that live here, we should be committed to preserving the natural order of things and not allow corporate greed to win here. It is critical and essential we protect those that cannot speak for themselves, that we do not contribute any more to climate change by altering the environment. Please do not move forward with drilling. You have a responsibility to do the right thing. Save the cheetahs!I love cheetahs and they are endangered.